The soft golden sands on this more or less west facing palm-fringed beach stretch for 2 km, however the sea is quite shallow and swimming is restricted as at the most it is only 2 metres deep. Our Plai Laem villas are a convenient place to holiday, being within 10 minutes from the popular beaches of Bophut and Chaweng. The soft golden sands on this more or less west facing palm-fringed beach stretch for 2 km, however the sea is quite shallow and swimming is restricted as at the most it is only 2 metres deep. 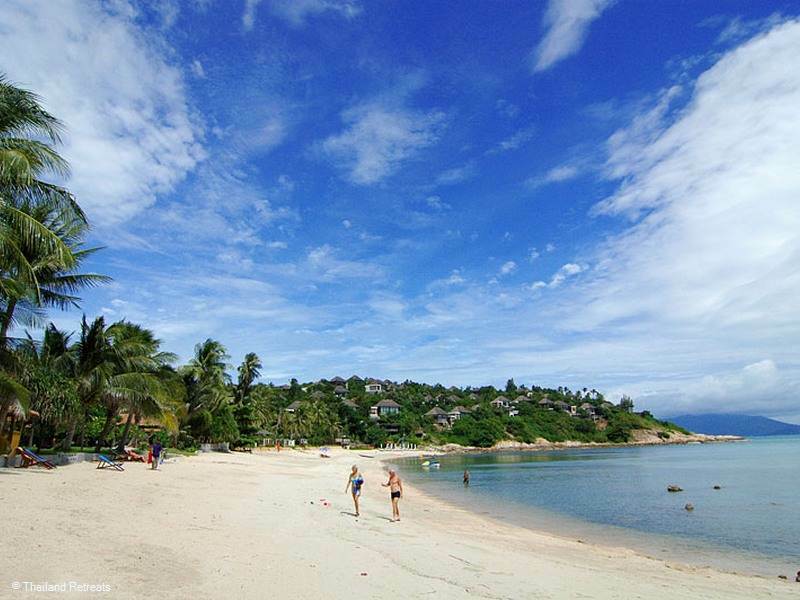 The view from Plai Laem beach is stunning and is one of the best places to see Koh Samui's amazing sunsets as the sun disappears beyond the sloping hills and north coastline of the island. The area is considered very quiet, it is often missed with tourists oblivious to its existence as they travel between Big Buddha and Choeng Mon. 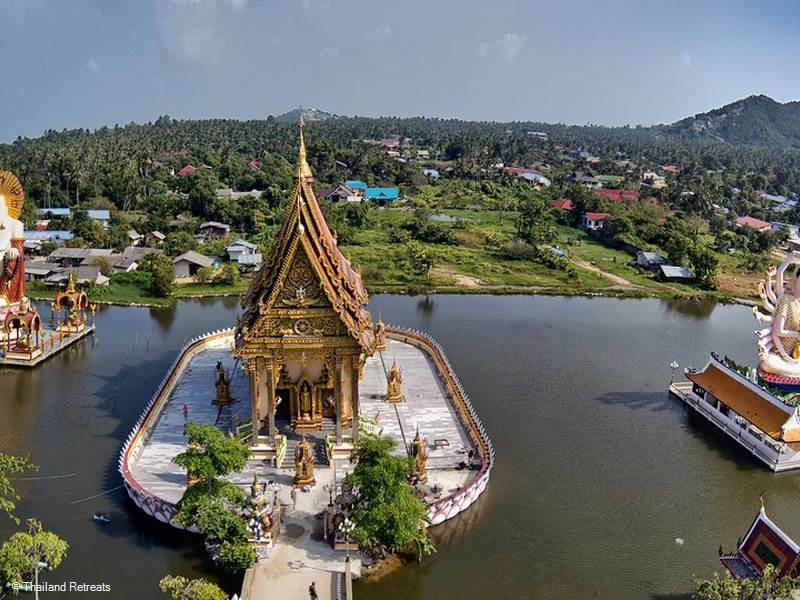 Although this is one of Koh Samui's quieter areas, it is still in close proximity to the livelier town of Chaweng and the bustling villages of Bang Rak and Bophut. The tiny island of Koh Som (translated Orange Island) and it's smaller neighbour Koh Lum Mu Noi (collectively known as Koh Som) opposite Plai Laem beach, is an untouched tropical hideaway with just a few bamboo huts and a restaurant opening occasionally for day visitors or overnight guests. 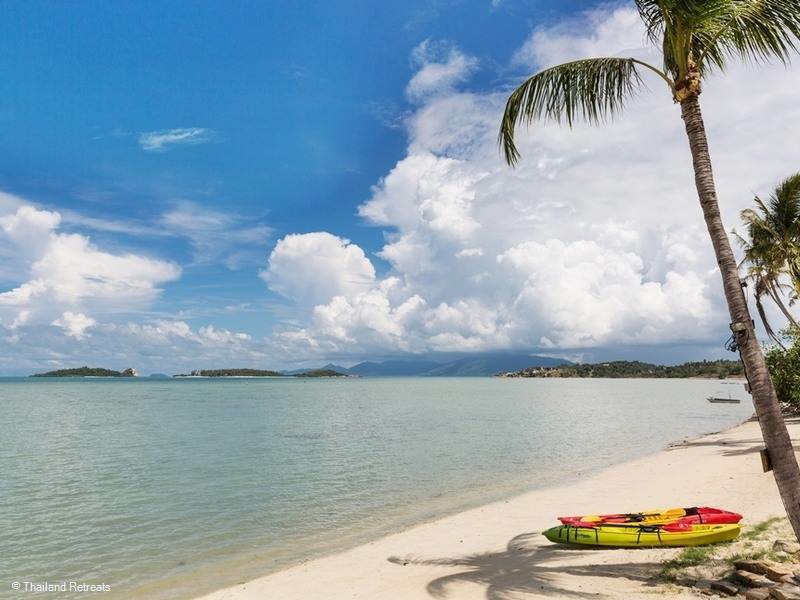 The island is popular with kayaking right up to the beach and picnics on the pristine west facing beach looking back on Koh Samui. 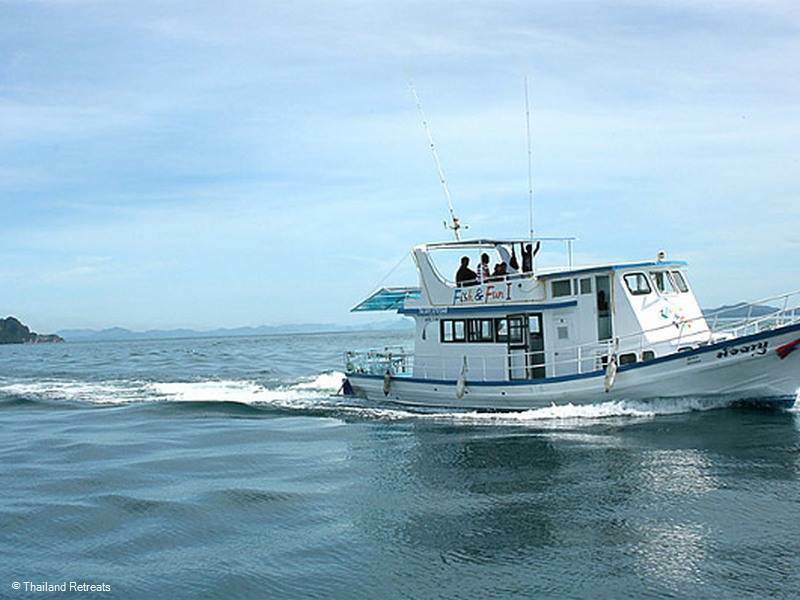 You can swim in the beautiful clear waters and snorkel, boats will take you across from the small Plai Laem Pier. There is now a makeshift pier at Koh Som for visiting yachts, you can de-board with ease to explore the 1sq km island which remains a nature reserve and home to many tropical birds. Whilst white sands feature on one side of the island, the north coast is rocky and although it looks easy enough to swim across from Plai Laem, you should be aware of the dangers of the strong undercurrents in these waters. There is a small marina at the Big Buddha end of the Plai Laem main beach, created mainly for the fishermen's long boats and some tour company pleasure boats. Continuing along the coast from the marina a luxury villa resort as well as private beachfront villas are located offering guests a peaceful experience with stunning views. The east end of the beach curves round to a headland that is dominated by the Six Senses Samui hotel and Spa, one of the original 5 star hotels on Koh Samui. It has a fine dining restaurant taking it's name (On the Rocks) from the rocky headland. You can experience some of the best sunsets here, land prices are some of the most expensive on Koh Samui. Rounding the headland is the north east facing Samrong Bay, nestled between two headlands and shared by Six Senses and a mid range hotel as well as a small villa resort. The Plai Laem headland has seen major development in the form of apartments and luxury villas all enjoying the superb ocean views well above the beach. Inland, the upper road leading from Big Buddha to Choeng Mon is dotted with various Thai residences in amongst the palms and some mid-range apartment buildings. 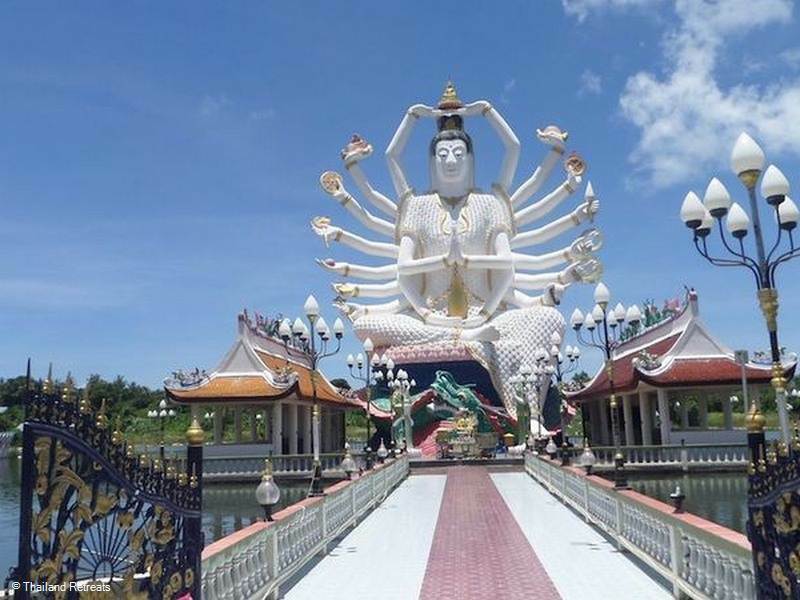 The local temple Wat Plai Laem is now one of the top tourist spots on Koh Samui and is also located on this road. is accessed from various tracks from the main road and has golden sand and shallow waters fringed with overhanging trees. The beach area at this point in time is largely undeveloped, with a few bungalow resorts mingled in with a handful of luxury private villas. The beach is narrow most of the year and not ideal for swimming. However, if you are looking for a peaceful spot to relax and read a book away from noise and vendors on an unspoilt tropical beach, then this the perfect beach. Also known as Secret Beach, this beach has 250m of sand framed between 2 headlands and is accessed through the 3 resorts that share the beach - all of which have a security gate. 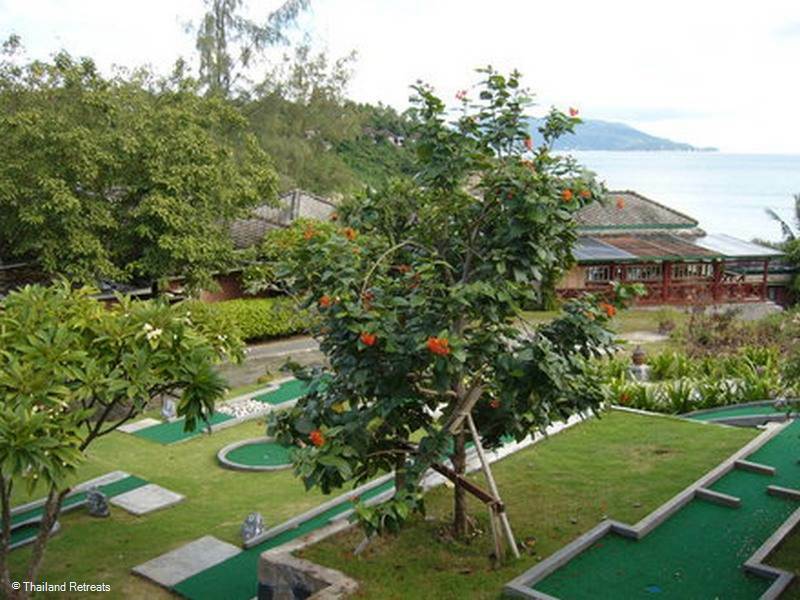 For those not staying in the Idyllic Beach resort where we have several villas to rent, the best access to the beach would be through the Ayara Buri Resort where lunch at the beachfront restaurant and a game of mini golf are also an option. Both the above beaches are within 10 minutes reach of popular Bophut and Chaweng, where there is a good choice of dining, shopping and entertainment. Due to little resort development in Plai Laem, there are very few Spas in the area. 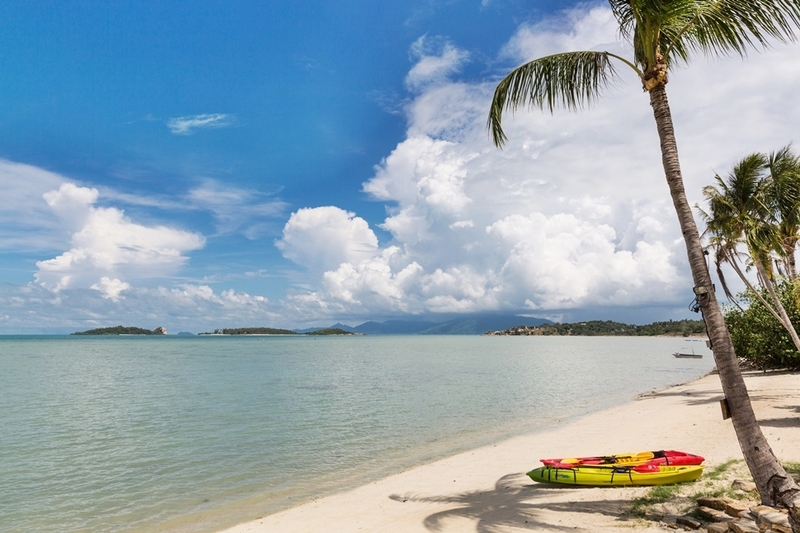 North East - A peaceful palm fringed beach easily missed on a tour around Koh Samui. There is a very low tide so it is not swimmable for most of the year but has soft white sands and a stunning view over to Koh Phangan and great sunsets. North East - On the east side of the north east peninsular of Koh Samui this small bay is shared by 2 hotels and a villa resort. 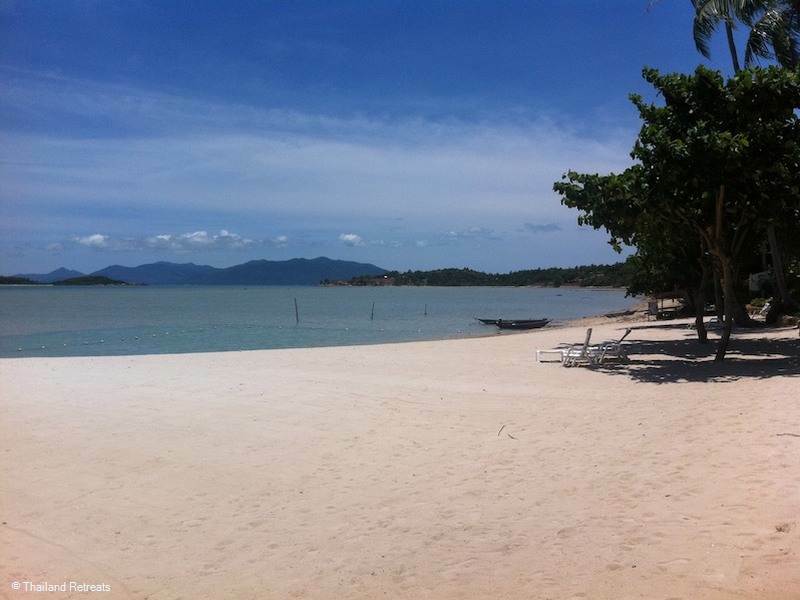 The only access is through the resorts where there are security gates however all beaches on Koh Samui are public. Plai Laem has some excellent dining options, whether you want fine dining, beachside romance or authentic Thai. 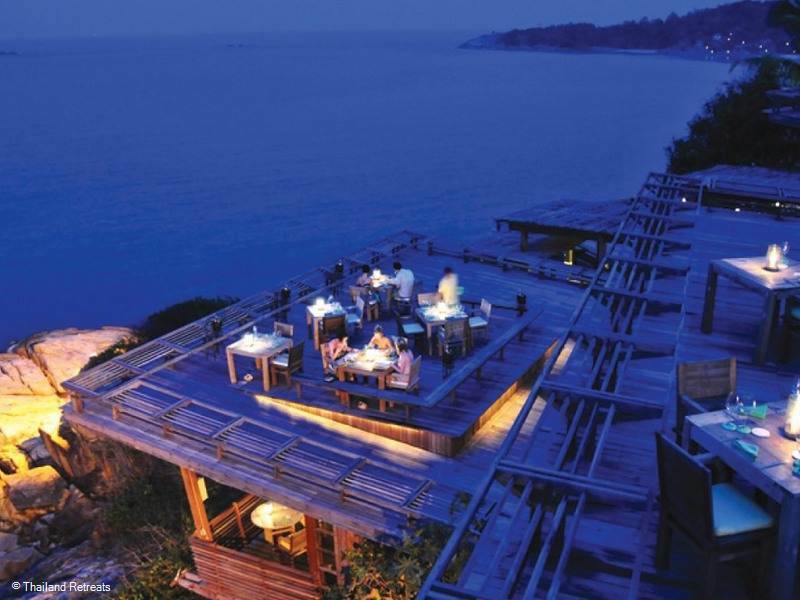 For fine dining located at the Six Senses Hotel and Spa on the tip of the headland, offers amazing views whilst you dine. Further down the east coast on Samrong Bay, the Araya Buri resort offers beachside dining serving both Thai and International cuisine. 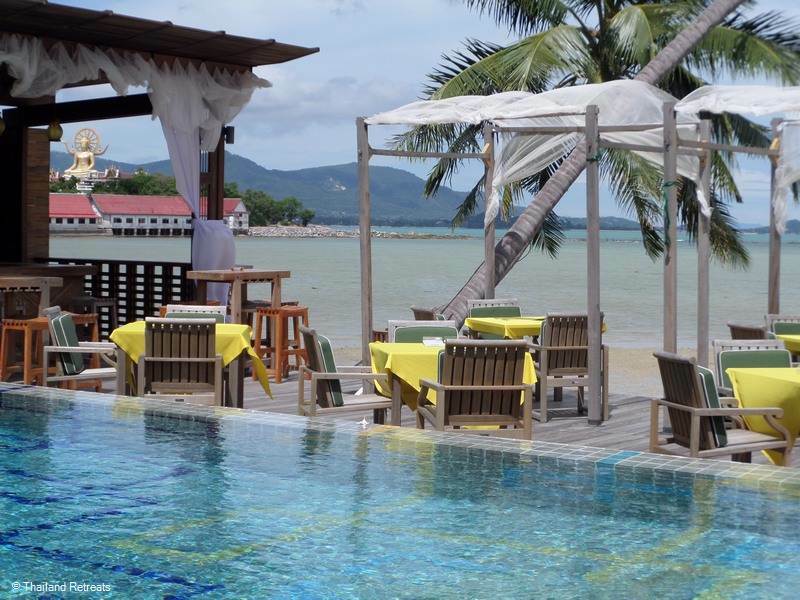 Beachside dining next to the small marina with west facing views over Big Buddha temple. 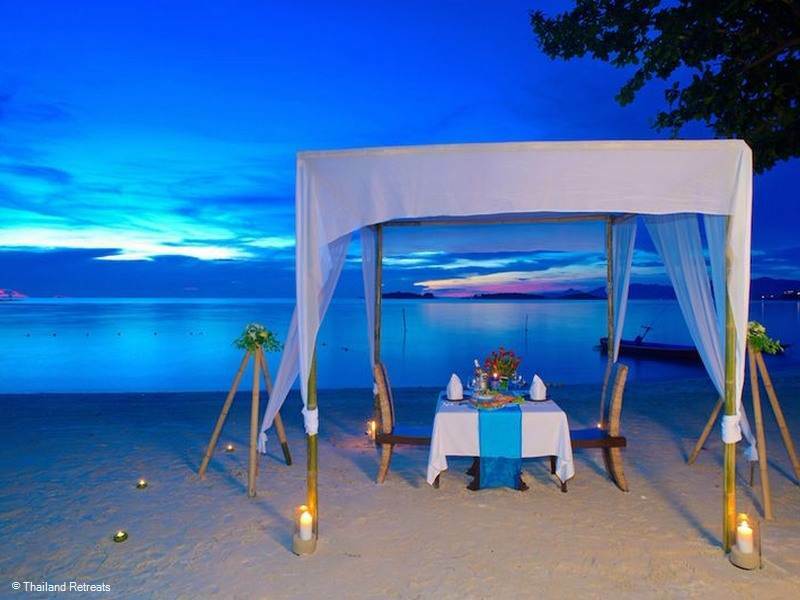 Enjoy an intimate candlelit dinner on this wonderfully quiet beach, with the sand between your toes and just the sound of the waves in front of your luxury beachfront villa.